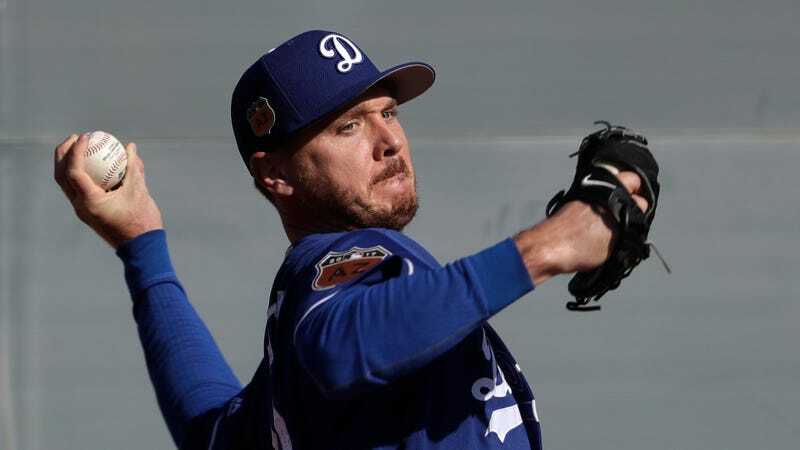 For a guy with such an extensive injury history, Scott Kazmir’s last few years in the league have gone about as well as anyone could have hoped. He tossed 183 innings and had a 3.10 ERA pitching for the Astros and A’s in 2015, and managed 136 innings in 26 starts for the Dodgers last year. He went into spring training with a shot at the fourth or fifth spot in the 2017 rotation, but so far the news is pretty grim. Kazmir threw 71 pitches in a simulated game yesterday, and his velocity sat in the 82-84 mph range. That’s an alarming development, given that his average fastball velocity in 2016 was 92 mph. “I feel close, really close,” Kazmir told reporters. “I was able to keep my tempo, keep my balance and use this hip to get through. It’s a lot of things that we have to focus on. It’s just a matter of putting that all together. Maybe this is just a blip, and Kazmir’s velocity will return as the spring progresses. But given how fragile his body has proved to be in the past, it’s hard to feel bullish about his chances to earn a rotation spot. A nightmare scenario would be similar to the one Jered Weaver found himself in last season, when he was healthy enough to make 31 starts despite his velocity abandoning him, and ended up getting bashed for 37 homers. Whatever happens to Kazmir, the Dodgers will probably be fine. Clayton Kershaw, Rich Hill, and Kenta Maeda will keep things steady, and between Brandon McCarthy, Julio Urias, Hyun-Jin Ryu, Ross Stripling, and Alex Wood, they have plenty of options with which to fill out the last two rotation spots.